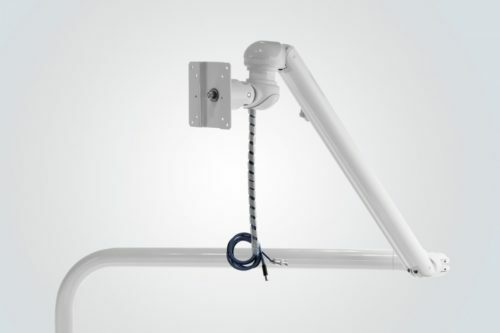 Since this articulated arm was originally designed to support monitors for medical applications, product quality is out of question due to the strictly certifications required by medical field. For the same reason it fits at all the requirements of other sectors such as: research, biology and chemistry laboritories, industrial workshops, manufactoring environments. The arm is very light, robust and easy to clean to ensure long lasting resistance and precise movements in complete compliance with working environments where high performance are required. The tare weight is the weight of the monitor that will be installed on the arm and with which we will calibrate the arm to be perfectly balanced and light to ensure the most precise movements. 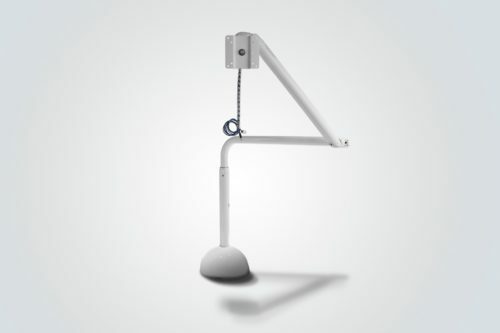 ATTENTION: if the monitor is heavier than the tare weight, the arm will never find his balance and it will tend to fall down to the floor. 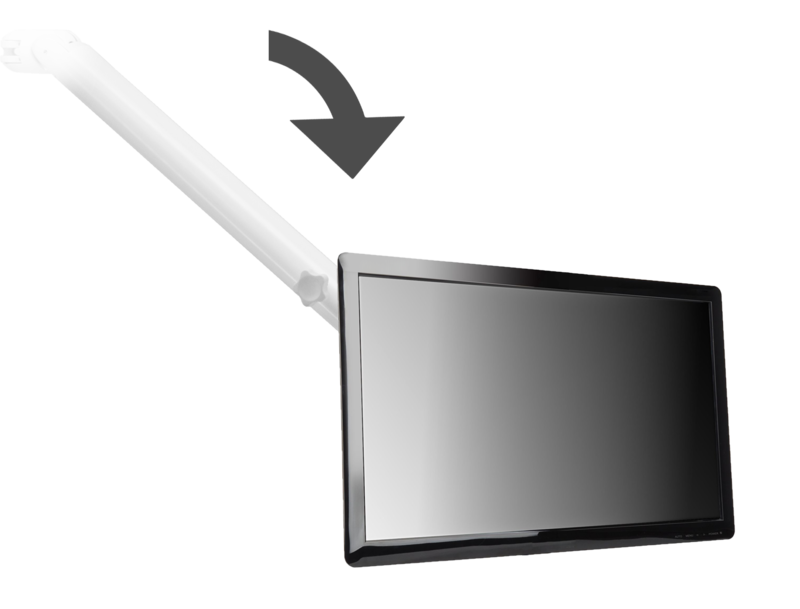 Otherwise, if the monitor is lighter, it will tend to rise to the top. 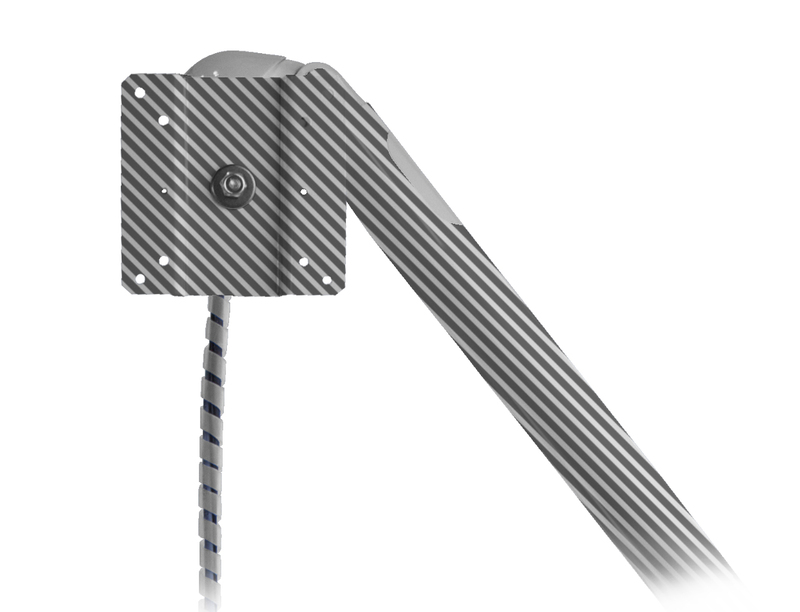 The arm fully integrates the cable wiring inside it without being visible. This ensures durability and easy cleaning, thus fully complying with the hygiene standards required in the various industrial sectors. 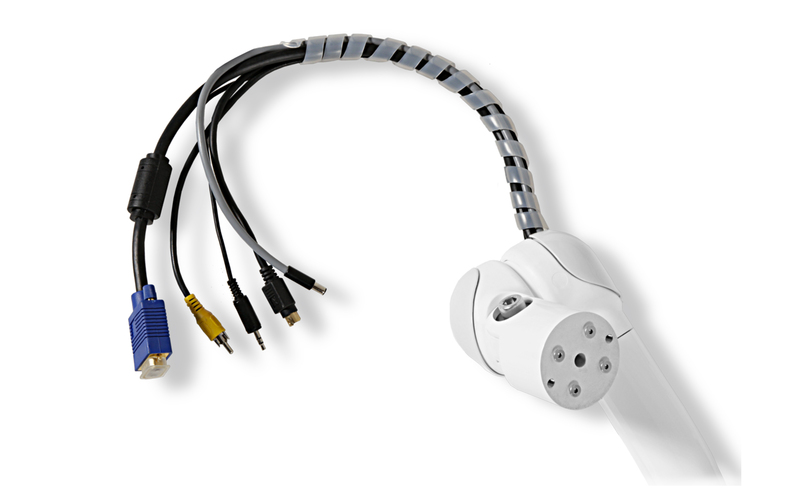 ATTENTION: the arm is manufactured by integrating the cable in its interior. 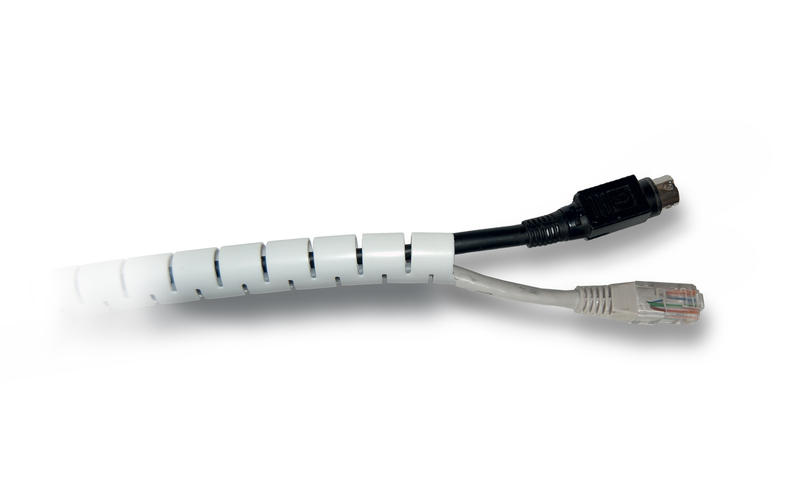 If you order the version without cables, you cannot integrate them later (you will need to tie them outside). 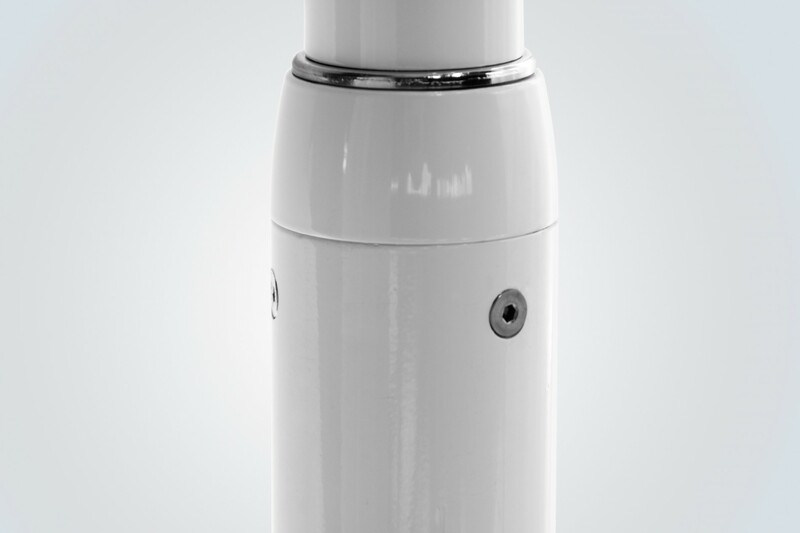 The arm is made in aluminium and powder painted to ensure durability and high resistance to aggressive environments. The standard colour is RAL 9010, but the aluminium elements can be painted with any RAL color. 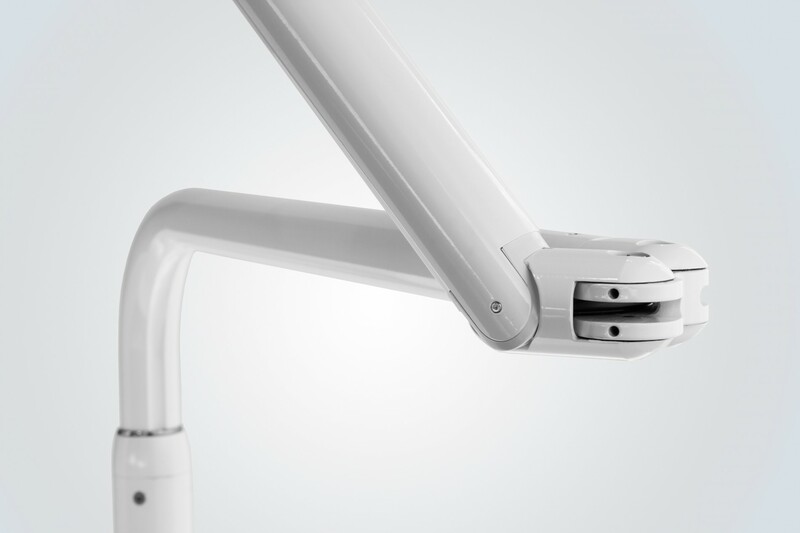 ATTENTION: if you order a non-standard colour remember that only the aluminium elements will be customized, since the plastic parts are available in white only (RAL 9010). In addition, the delivery times will increase from 3 days to about 3 weeks.